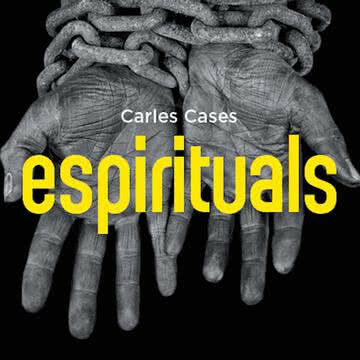 “Espirituals” (Time Record, 2018) brings together a selection of songs from which we have always called black spirituals that we have for some years surely had sung in the “progressive” masses of the parishes or the causers and the esplais. Carles Cases offers us some adaptations of these songs, keeping in mind their musical style, about minimalism, baroque and jazz, but adding sounds from rural North America and classic cinema. Fortunately, I have avoided the derivative of the gospel, both fashionable and imposture in our homes in recent years. “Espirituals” are collective songs, but they can also be read individually. And in Carles this shows us in these versions dosing the individual soloists and the choirs, with a dear use of amateur voice, thus reinforcing, as in an Italian neorealistic film, the idea of ​​singing that comes out of the town and is for town Other keys of musical interpretation we have in the use of music inspired by the Baroque, as an expression of a natural order; It is composed in the manner of the old soundtracks of westerns of Moross, Copland or Newman, as the vision of the future that we aspire to; jazz as the voice that speaks to us from the present; Or, as I said, the alternation of the individual and the collective voice.